While auditors are often experts in accounting and auditing it is not reasonable to assume your team are also highly skilled experts in fraud auditing, forensic accounting, or even litigation when the time comes for further action. Many cases of fraud have the capability to go undetected for years if the proper controls are not in place, and so it is likely your team of auditors are not commonly dealing with fraud in their working lives beyond the creation of controls and preventative measures. 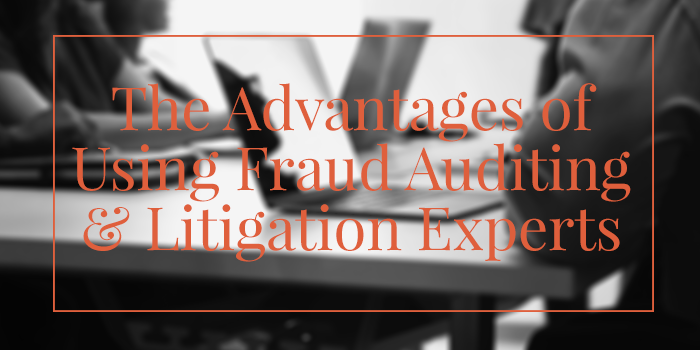 Let’s take a look at the advantages of using experts in fraud auditing and litigation to support your team while detecting and addressing matters of fraud.